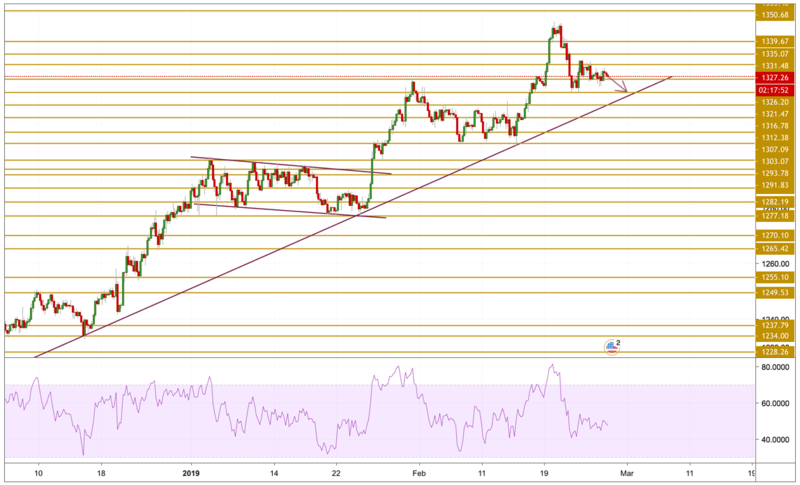 Gold prices failed to hold above the $1330 level after numerous attempts and declined towards the $1326.2 support level. The price is still hovering around the $1327 level with a declining momentum as we can see on the RSI. We will be expecting a deeper correction to the downside and we will be focusing on the $1321.47 level.